Never Made it Out of the Box! This is the most annoying toy I have ever met. The Shake 'n Go Thomas is supposed to talk and move after you shake it. Cute concept except that it's deafeningly loud and starts up whenever someone breathes within 10 feet of it. God bless my in-laws who delivered the toy for person who will remain unnamed. They drove over 3 hours on Christmas Eve with the thing going off nonstop in the trunk. I knew it was trouble as soon as the gift bag crossed the threshold, and I would have returned it immediately if I had realized we were getting a blizzard and would be stuck in the house with it until Wednesday! Good riddance Shake 'n Go Thomas! I am angry at myself that I did not believe in Sock Ons the first time I saw them. I thought they were a big hoax. JD never kept socks on, but because he was a summer baby, I was never too concerned. Baby O has been kicking his socks off in record time since the day he was born. He even had little blisters on the backs of his heels from rubbing his feet on his blanket. My mother-in-law gave us Sock Ons for Christmas, and I thanked her and threw them on the pile. But when baby O was sockless again, she slipped a pair on, and his socks stayed firmly in place the rest of the day! I couldn't believe it and was slightly concerned that there were going to be red marks on my baby from what must be tight elastic keeping his socks on. There were none. He has not gotten his socks off since. This is one of my top must-haves now! I can't wait to get some colorful ones and the sneaker ones! You can get both of these here! Wordless Wednesday: Things We Love in the Bathtub! We've been working on JD's new big boy monster room ever since we found out baby #2 is a boy, but there hasn't been much action lately. I was really hoping to post about his room when it was all done, but now I'm posting because I really need help with the finishing touches! Note- Ikea doesn't recommend this piece for young children because of the clothes tree and obvious climbing hazard. JD hasn't realized the tree climbing potential here yet, but if he does, we can disconnect it until he's old enough to handle it. We already had the big, black bookshelf- we got it from Kmart years ago- and we decided it worked. I found the black storage boxes at Bed Bath & Beyond. JD loves emptying them, and (thankfully) filling them back up. Then I found the awesome, gigantic bean bag at Overstock and had to have it. It expands to a big, super cushiony rectangle, but it has clips at the corners to make it more like a traditional bean bag chair. We keep it open, and James loves to snuggle up with us on it during story time, climb on it, throw himself down face first on it, etc. Hubby loves to nap on it too! I found this great fabric and then the paint to match. Nicklepicklequilts made me a blanket out of the fabric, and I made some (not nearly as fancy) pillows to match. For accessories, I got this lime lamp shade and the lime sheets from babybedding.com. I found the awesome monsters for the big boy room at Scare Me Not. We have Protector Patty and Fearless Fred to watch over JD's room. The last idea I had was to cut out some of the monsters from the fabric and put them in frames that I painted lime green. I made four and put them on the bookshelf and on these floating shelves over his crib. Okay, so now I'm stuck. Three out of four walls are bare, and I still have a lot of fabric. I'm hoping you guys have some great ideas to help us out! What do you think? We've been listening to this CD in my house for the last couple of weeks, and we're hooked! Not only is the music catchy and rhythmic for JD, but it's also entertaining and educational for mom and dad too. (Who knew a warthog was an omnivore? Who knew what an omnivore was?) I even caught DH singing "Imvubu the Happiest Hippo", one of our favorite tracks, in the shower yesterday! JD's favorite is "Lucas the Lazy Lion" mostly because it encourages him to roar and growl repeatedly. I would totally listen to "The Night Song" while relaxing at night- even if I didn't have a baby. It's amazingly calming. 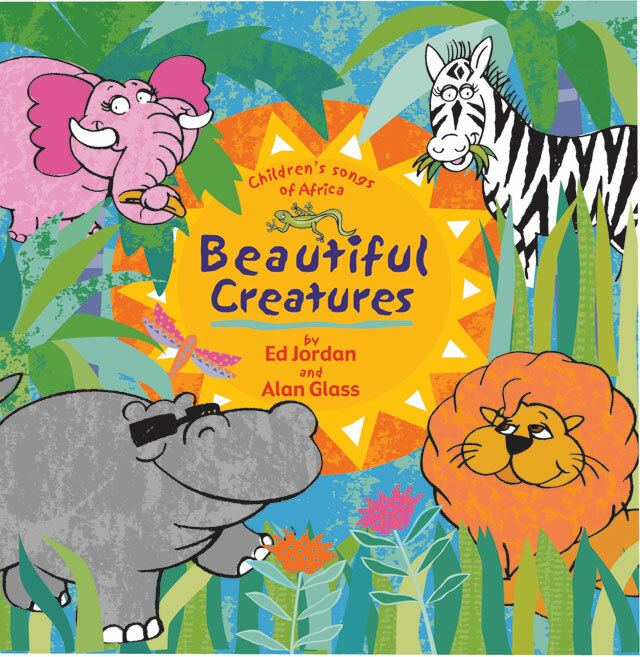 "Beautiful Creatures was formed in South Africa in November 2004 by Alan Glass, Ed Jordan and Paul Choritz who felt there was a need for "Parent Friendly" children's music. 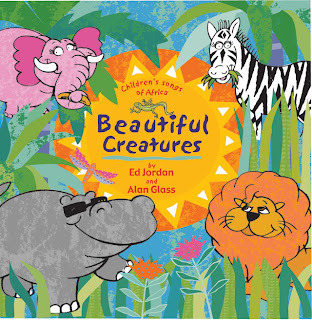 Using the best session musicians, actors and singers in the country, Beautiful Creatures prides itself on being uniquely South African with a positive global message." Here is where you can order the CD, and here is where you can check out tracks on iTunes. You won't regret it! 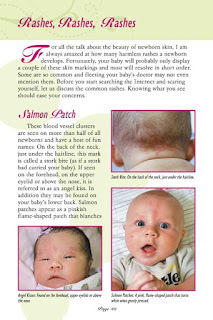 I wish I had Dr. Carey's Baby Care Kit from Day 1! My husband always embarrasses me at JD's check-ups because he asks so so so SO many questions. I'll admit that they are good questions, and I want to hear the answers, but I don't want to be "those parents". We chose our doctor very carefully, and she is incredibly patient with us, but I want to appear like we've done our homework and can handle the little guy. 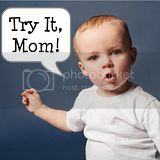 The truth is, most of my info is obtained from skimming What To Expect: The First Year (who has time to really read all that- it's thicker than the Bible) and asking other moms on twitter. I wish I had Dr. Carey's Baby Care Kit from day one. Not only are the items must-haves, but the incredibly informative book is a manageable 96 pages! The pictures in this book are what make it far superior to any baby care book I've seen and would have saved me a lot of unnecessary worry. For example, JD has Stork Bite on the back of his neck. The picture on page 32 looked familiar, and it was reassuring to hear again that it is nothing to worry about. Important note: I would not read the chapter about messy diapers at the dinner table. The pictures are priceless though. None of my friends or family breast-fed, so I had no idea how different the diapers would be! It comes with the book, Dr. Carey's Baby Care, a cute baby blanket, diaper rash ointment, pacifier, squirt bottle for homemade saline solution, digital thermometer, and a nose suction bulb. The packaging is great- the box is even reusable. It would be a perfect gift for new parents, or a great addition to your mommy library. You can purchase a kit here for 49.95. Our Sassy Sensation Station Suction Toy is Possessed! We were so excited for JD to get this new walker for Christmas because he desperately wants to be on the go! However, after putting it together, his feet are a good 6 inches off the ground when it's on the lowest setting. It will be months before he will be tall enough to "walk" in this walker, and by then, he'll probably be walking on his own. The box says that it is for 4 months+, so why can't an above average sized 6-month-old (95th percentile for height) use it? We've contacted customer service, so we'll update this post when we hear back. The reasons we chose this walker were the non-obnoxious color/design, the activities on the tray (which slides apart and can be used as a feeding tray), and the seat: Hubby is disturbed by things that leave him "hanging by his package". Anybody have a walker they love that my little guy can realistically use?